REPORT: Homocon Milo More Than $2 Million In Debt - Joe.My.God. The far right activist Milo Yiannopoulos was more than $2m in debt during 2018, according to a collection of documents assembled by his former Australian tour promoters and seen by Guardian Australia. Creditors listed in the documents include employees of his company, a wedding venue and his former sponsors, the billionaire Mercer family. The documents indicate that as of April 2018, Yiannopoulos owed $1.6m to his own company, $400,000 to the Mercers, $153,215 to his former lawyers, $76,574 to former collaborator and Breitbart writer Allum Bokhari, and $20,000 to the luxury jewellery brand Cartier. 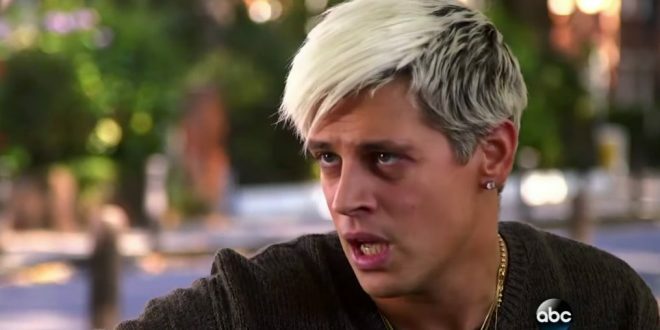 As of 2 October, Yiannopoulos owed sums of several thousand dollars to far right writers including Ian Miles Cheong, anti-Islamic ideologue Pamela Geller and science fiction writer Theodore Beale, aka Vox Day, the documents indicate, amongst others. Hit the link for more hilarity.